Suicide is not as simple as the combination of a depressed mood and a hopelessness outlook. The Germanwings pilot who crashed his plane did more than kill himself. The mass death of passengers and crew — some who may have been his acquaintances — raises motives one can only guess at. Suicide permits no questioning of the man who undoes his life. Even farewell notes are inadequate to a complete understanding. A former professor of mine killed himself to send a message, it seems. He was to meet his parents outside of his hotel. Indeed, he arrived on the spot, but jumped to his death from a high floor while they waited. Was he angry with his folks? The conclusion is hard to dismiss. The news offers speculative details about the German pilot: apparent burn-out, visual problems threatening his career, and a history of treatment for depression. We spoke a lot about work and then he became another person. He became agitated about the circumstances in which he had to work, too little money, anxiety about his contract and too much pressure. When I heard about the crash, there was just a tape playing in my head of what he said: “One day I will do something that will change the system and everyone will then know my name and remember me.” I did not know what he meant by that at the time, but now it’s clear. Maria said her boyfriend sometimes reached the point of emotional dyscontrol. Her words also suggest he was self-involved (narcissistic). Could this quality, combined with his anger, have contributed to his bullying of her? Did a lack of empathy and a grandiose wish for fame — “then my name will be known” — partly explain his dismissal of the many lives he took? If the pilot was feeling inadequate and ineffective, unrecognized (in his opinion) for special talents, might the prospect of a grandly infamous act be empowering and fulfill his belief in his own uniqueness? If you think of yourself as some sort of frustrated giant, your attitude toward the pygmies around you can range from indifference to rage. It is also possible that such animosity was directed at Germanwings, with the passengers and crew viewed as collateral damage. All of this is speculation, of course. Those who are severely depressed rarely pose a risk of harming anyone else. Depression is too immobilizing at the extreme, reducing the ability to carry out even routine daily activities, such as getting out of bed or cleaning oneself. Were the pilot only depressed, a satisfying explanation of his behavior becomes difficult. Nonetheless, suicidal patients can be indifferent to another sort of damage: the emotional pain of loved ones left behind. Therapists encounter clients who assert that their family would be better off without them, and/or would recover quickly. When you consider yourself a burden on your spouse, children, or society, it may be hard to imagine the loss of your life mattering very long or very much. The profoundly depressed can experience a limited time horizon: even if they were happy in the past, a better future than the agonizing present seems impossible. Judgment is impaired and alternative methods of reducing their suffering appear ineffective or out of reach. Most depressed people display enormous courage in the simple act of functioning. Those who recognize the injury they will do to others and who choose to stay alive for their sake are admirable. It takes everything in them to keep fighting when the internal wail of pain begs to be ended. Take care not to render quick judgement of those who opt for oblivion, when Death, a bigger than life opponent, has the last say. A sense of belonging tends to reduce the likelihood of a suicide. A pointed example of this was a man who vowed not to kill himself because of the loss of most of his family to the death camps of the Holocaust. He reasoned that he did not own the right to choose an end to his life, because they had no choice in the termination of their lives. He was “connected” with relatives (and responsible to them) even though almost all died before his birth. In antiquity suicide was not always considered dishonorable. Indeed, a handful of countries today permit assisted-suicide. Shakespeare’s Julius Caesar presents a suicide by Marcus Brutus, a man who is nonetheless eulogized as “the noblest Roman of them all” by his enemy Marc Anthony. The Stoic philosophers, in fact, saw death as a reasonable way of escaping the pain of life, although they believed men should show courage in their approach to difficulties rather than submission to them. Indeed, the Stoics urged indifference to the common reverses so troubling to us, like loss of status and wealth. The Catholic Church was a powerful influence on suicide becoming verboten in a moral, religious, and legal sense. Religion, however, is not required to take a position against suicide. The 18th-century German philosopher, Immanuel Kant, did this based upon reason alone. There is no certain and complete explanation of the Germanwings tragedy, as stated earlier. One can only raise questions based on limited data. Even with more time and commentary we won’t have full access to what was going on inside the unfortunate young man. His death alone would be tragic. What can one say about the hostages and the friends and family they leave behind? There are no words. On Receiving Recognition: Is Attention a Good Thing? If you’ve ever wanted attention, this post is for you. Receiving recognition as an adult is meaningless but important. A contradiction, you say? Perhaps not. The wish for the spotlight is like a dry sponge inside of us hungering for a drenching. There are more noble human qualities. Still, attention is intoxicating and addictive. Almost everyone wants acknowledgment, except the master meditators and the Stoics. The desire for status leads us to do awful things. Other people are used as stepping-stones on the way to greater height. Accolades have no real value, yet we suffer in their absence. In the latter sense only — the manner in which they capture us — resides their importance. Recognition and prestige are significant on a personal level, but are meaningless in the grand scheme of things. Fame benefits one person and only one; and — the joke goes — lasts 15 minutes. Not much bang for the buck. I now care less about getting good notices than in my youth, but not to the point of total indifference. Should I ever reach full maturity, my ego will be effaced and applause won’t matter at all. Like when I’m 400 years old. 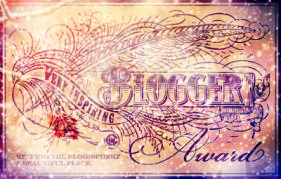 I raise the issue since I am newly honored by receiving the Very Inspiring Blogger Award. I will admit, I was pleased and amused. I know it was offered sincerely by the wonderful blogger Spacefreedomlove. I am tickled because it is one of the fun things bloggers do to entertain themselves, say thanks, increase their readership, and bring a smile. Over analysis of this writers’ chain letter? Perhaps. I am simply grateful for a small tip of the cap from someone I appreciate, as she does me, from our writings and commentary and an ability to make each other laugh and think. She is a peach. WordPress reminded me, a few days before, that my blog is six years old. Toilet trained, vaccinated, and ready to start first grade. 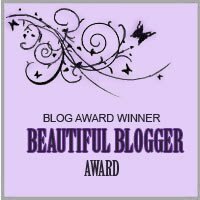 Earlier in this “career” I received the Beautiful Blogger Award. Despite the doubtful evidence of the photo in the top right corner, I was once absolutely beautiful. Way back, I was known everywhere as a stud muffin, trailing crowds of admirers behind me. I had to fend off women with an electric cattle prod. Then I woke up. Gorgeous or not, I’m sure one of my reasons for blogging is to get attention. Not the only reason, however. I began with the clear idea of leaving a piece of myself (or at least a few electronic footprints) for my children and potential grandchildren. I never had the talent or grandiosity to believe I would transform the world or deposit a permanent mark on the planet. 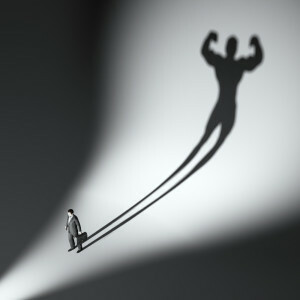 Talent often fuels grandiosity, leading to a vain pursuit of a satisfying level of recognition. Vain because, like money, there are always people with more of it, leaving the seeker bummed out. I’ve been modest in my aims, in part because I had an early awareness of my limitations, which helped me to accept some things in life. To paraphrase Arthur Miller, we all try to scratch our name on a block of ice during a sweltering mid-summer day. Unlike his Death of a Salesman character, Willy Loman, however, I don’t care that the autograph is not inscribed in stone. My grandiosity does extend, nonetheless, to the pleasure I get in giving an occasional speech. The neat thing about oratory is you receive immediate feedback. Even before the applause, you sense whether you quieted the crowd and won their focus. Laughter tells you about the quality of your humor. Tears report back if the heart has been touched. Blog post feedback, however, says less and does so later. Even if you get lots of “likes” and comments, average “readers” are said to spend 96 seconds attending to a blog post. I’ve had sneezes that lasted longer. A discouraging statistic, for sure. Inner necessity drives me, but I am not indifferent to being read. I suspect I would not journal forever were the words a secret. Three Worlds One Vision. Rosaliene Bacchus is a fierce defender of the dispossessed and disadvantaged, not to mention our fragile planet. She has lived in three countries on two continents and experienced more than her measure of hardship. She will not make you laugh as a rule, but may motivate you to march in the name of something good. The Empress and the Fool. I might be the only man who reads about this teacher’s journey through the medical and emotional trial of trying to produce a baby. Her writing is lovely and she is on her way to an offspring. No newborn has ever been more loved ahead of its vault into the daylight. Who is your favorite public figure? This was a tough one. I don’t admire many public figures. That said, I will give you two. Senator Elizabeth Warren. A super bright, bold, sincere woman who seems to say what she believes. Should she make herself a candidate for President, I will reconsider, since that would suggest she isn’t smart enough to refrain from putting her hand in the ultimate political meat grinder. Running for President pretty much guarantees your judgment is poor. Jonathan Kimble “J. K.” Simmons, the big, bad, band guy in Whiplash. He can play any role, from comic to kind to cruel. He is getting his due, at last. However meaningless, it would be difficult for him (or any of us in the same spot) not to care. What do I like most? After removing love from the picture, classical orchestral music. Brahms, Beethoven, Mahler, Mozart and many others are on this lover’s list. Do you follow trends? I had to look up the 2014 list of trends. Only numbers two, four, and 10 rang a bell. I was afraid to find out what #6 was. I guess that answers the question. What do you do when someone gets angry? If I’m on my game, I wait. As I ponder, I’m trying to decide what part of the rageful message I can agree with, thereby getting on the other person’s metaphorical side of the table. Confrontation is out. I slow things down and make sure my emotions are in check. If none of this helps, it is best to suspend the discussion for another time or walk away. What have you loved most? Without question, my children and my wife, as unlike as those loves are. How remarkable that a thing named love takes such different forms as the love of a spouse and of a child. Do you have causes? The Zeolite Scholarship Fund, a college scholarship program I began with seven of my high school buddies in the year 2000. We are in the process of closing down. Everything has a beginning and an end.